Quick Summary: Spyderco proves once again why they are a dominant force in the pocket knife industry, subtle changes made to the Paramilitary 2 improves practicality and ergonomics. 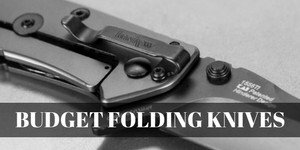 A leader in pocket knife production has produced a refined version of one of their most successful and popular cutting tools. The Spyderco ParaMilitary 2 is a polished version of the Spyderco ParaMilitary classic. A largely popular knife, Spyderco decided not to fix the ParaMilitary, because it wasn't broken. Instead, they polished the first version, and made it even more ergonomically sophisticated and practical. The Spyderco ParaMilitary 2 sustains the classic versions usefulness and aesthetically pleasing edge, while achieving an even wider array of design features that adds to the expediency of this working man’s knife. Pragmatically designed, the ParaMilitary 2 pocket knife is unmatched, and only reaffirms that the technology used by Spyderco to create their knives is cutting edge and top of the line. 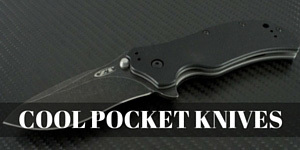 A G10 textured grip allows this pocket knife to basically stick to your hand while performing many different tasks. The grip has a visually pleasing quality to it, while at the same time ensuring the usability of the knife is not compromised. The convenience of the G10 grip also adds to the safety of this cutting tool. In the event moisture gets to the handle, the G10 scales can prevent and slips that could result in injury. Made in Golden, Colorado, the Spyderco ParaMilitary 2 is a great pocket knife for many different jobs. The CPM S30V flat-ground blade has a dependable and rugged quality that provides confidence in its ability and usage. A Compression Lock and four way clip has an ambidextrous design quality that makes this knife perfect for a right-handed or left-handed worker. The PM2 and its new refinements allows for an easy and comfortable carry, letting the knife rest deeper in your pocket and be less noticeable during travel. A Bushing Pivot System gives the opportunity for a more seamless action to the knife and allows for comfortable cutting while still maintaining the control and accuracy it is known for. The Spyderco ParaMilitary 2 offers a lightweight carry that is perfect for hard jobs or leisure activities. At 3.9oz, this pocket knife can withstand many different jobs while still being ergonomically fit and easy to handle throughout the work. An overall length of 8.281 inches makes this knife easily perform a wide array of tasks, and the lightweight design with the ergonomically narrowed handle allows for seamless transition while still maintaining the fluidity during the work that needs to be done. Generally you will find the PM2 in the $120 price range, which it what it's listed for on Amazon with the digital camo and satin blade configuration. Also you can find it listed on BladeHQ in this same price range. ​You can also expect to find more expensive versions out there, for example if you want the black on black look, expect to pay a little more. The Spyderco ParaMilitary 2 offers an aesthetically pleasing pocket knife that still rivals all others in its class. A main reason this knife has been a staple for serious pocket knife users is the fact that it is durable, dependable, and visually pleasing to look at. The enhancements made on this knife may not even be noticeable at first glance, but Spyderco wanted to develop a newer version of this pocket knife for the passionate knife user. Their goal is to make the knife as ergonomically advanced as possible, and they achieved their goal with this gem.